Ride over miles of wooded trails that overlook the scenic Shawangunk Ridge with views of the Mohonk Mountain. 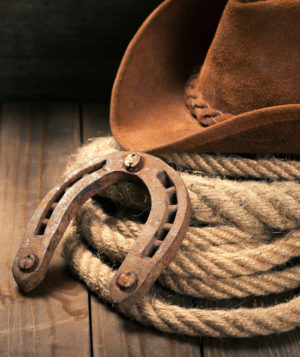 Ride all day or just enjoy seeing horses in the field, there is something for everyone at the Pine Ridge Dude Ranch. 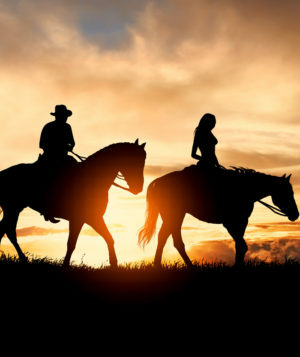 Enjoy beautiful trails and horseback riding. Choose from relaxing walk only rides, walk & trot rides, and exhilarating advanced level walk, trot, & canter rides. Each ride is approximately 45 minutes from mounting to dismounting. 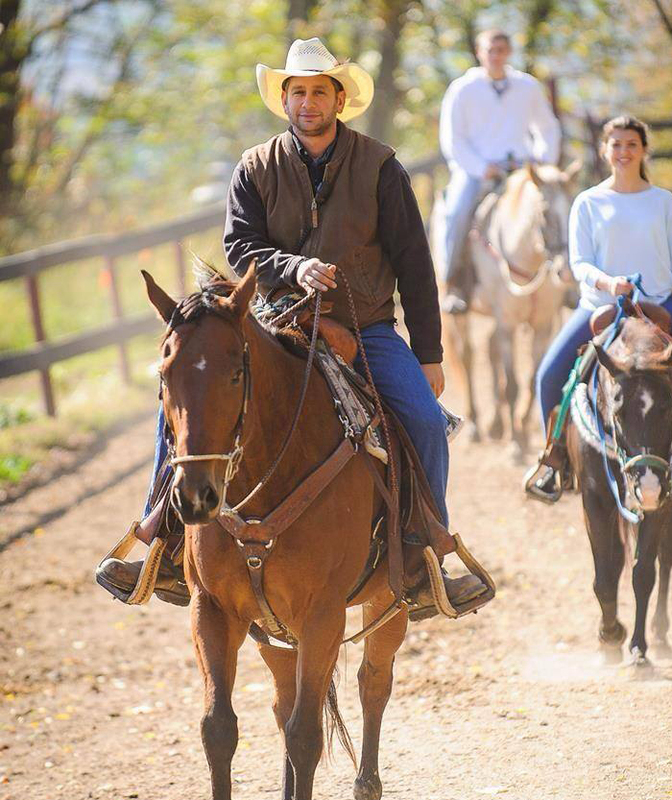 For your safety, each trail ride is accompanied by several experienced wranglers. Our herd consists of a mix of different breeds such as: Quarter Horses, Thoroughbreds, Appaloosas, Paints, Percherons, Clydesdales, Haflingers, Icelandics, Morgans and Arabians. All-Inclusive package features one FREE RIDE per person per stay. Specials and sales such as the Family One Price does not include riding. A safe introduction for future horse lovers. Free pony ride for kids age 8 and under, each day. 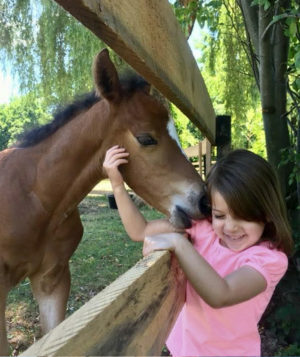 Walk our sweetest, child-friendly ponies and make lifetime memories. Pictures will be taken by our professional photographer and available for purchase in the lobby. Great for all levels of riders ranging from beginners to advanced. A ride through the woods that is slow enough to take in the natural beauty of the surroundings and is ideal for first time riders or anyone that wants a relaxing, comfortable ride. Walking & trotting. 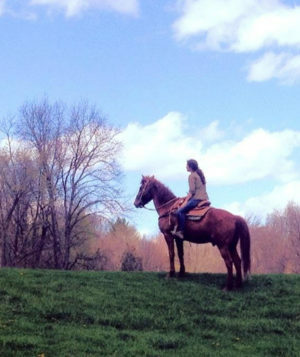 A fun, brisk ride that requires enough experience to be in control of the horse at all times. Riders should have approximately 10 hours of active saddle and riding time and be comfortable and confident with a faster horse stride. Walking, trotting & cantering. 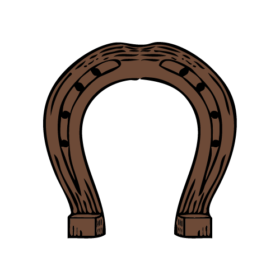 A fast-paced, exciting ride for experienced horseback riders that are confidant and in control of their horse at all times and should not have to hold onto the saddle for balance. Screening for safety required. 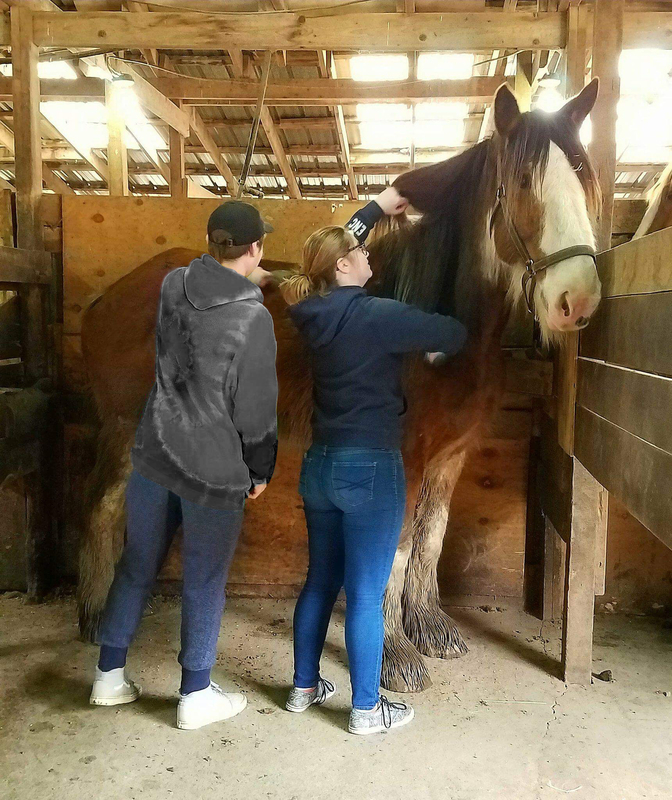 Kids & adults enjoy up-close, hands-on horse grooming, saddling, feedings and tidying up. Great for kids & adults thinking of getting their own horse and see what it takes. Enjoy a quiet, exclusive trail ride away from it all, at one of the most beautiful times of the day. A quiet, exclusive trail ride away from it all. A wrangler will show you the trails, at your own pace. Kids 5-8, one-on-one instruction to learn basics of riding. One-on-one instruction to become more confident rider. Kids get up close and personal with our newest addition to the family. 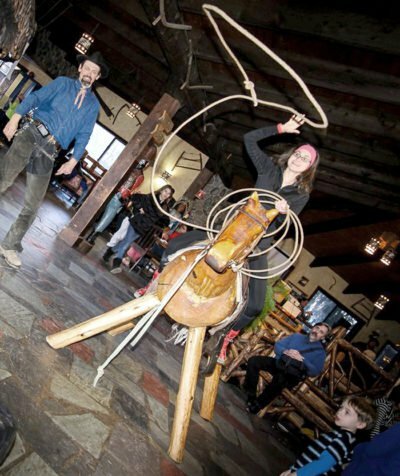 Have fun learning how to lasso like a real wrangler. A safety check is required before any ride that is faster than slow pace. Minimum age is 9 years old or 8 years old after successful completion of a Junior Wrangler lesson and at the discretion of the Stables Manager. Trail Ride times are scheduled by the Stables Manager. A safety check is required before each ride faster than a walk where riders demonstrate safe riding at a trot or canter. 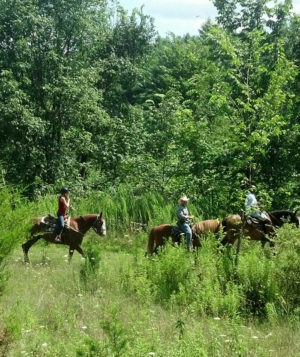 Qualified individuals have one trail ride included in their package. 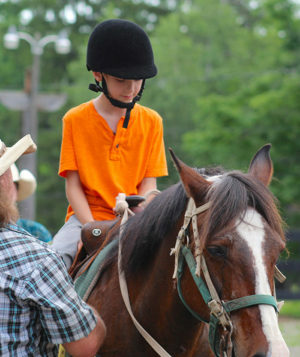 Riders age 9 years old and over receive one trail ride per stay. Kids age 8 & under receive one free pony ride per day. For any additional information regarding the horse program, please contact our Stables Manager. Programs and rides are subject to availability and weather conditions. In extreme heat or cold, all rides will be walk-only. 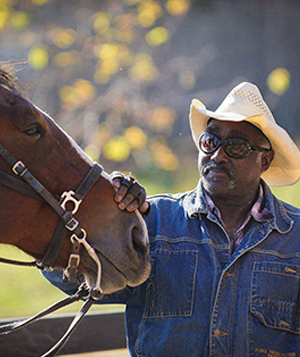 To ensure the safety of our horses and guests, the Stables Manager can reschedule or cancel rides. We do not ride in a thunderstorm or high winds.